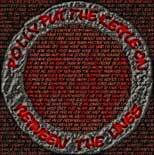 Between theLines is the 3rd album from PPTKO. Released in early 2004, this album had a renewed energy and an unabashed eclecticism that will surprise some. The tracks were written during four very busy years. Half of the content was originally composed as a "whisper" recorded at 2 am from my basement apartment in Provo UT. Yes I know how to be loud but I also know how to respect the people living above me. At the end of 2003 I had graduated at last from my extended college career. I moved to Sugarhouse and made room in the dirt-floor basement of my new rental house for my equipment. A year and a half later the album hit the streets.